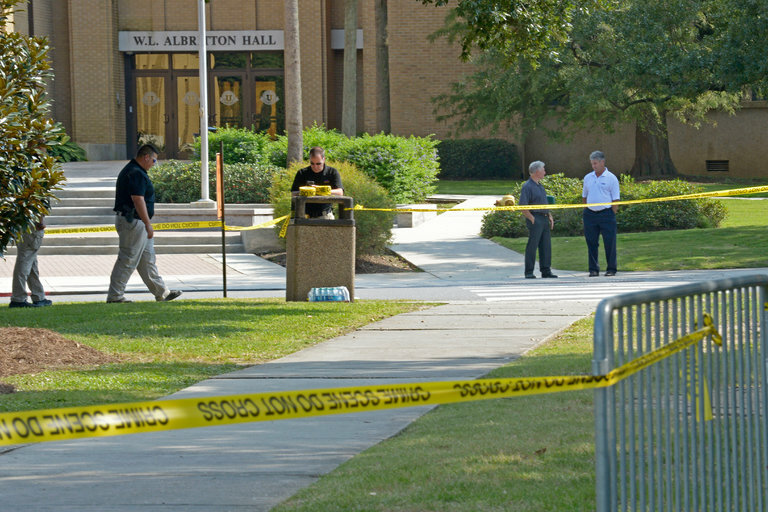 nvestigators at Louisiana State University in Baton Rouge, La., after a student died in a fraternity hazing incident in September. L.S.U. is one of a number of universities restricting or banning fraternity activities. After months of waiting, party night finally arrived on Dec. 2 for the brothers of Phi Kappa Psi at the University of Iowa. But this was no “Animal House” gathering; it was held in the ballroom at a Hilton Garden Inn. IDs were checked at the door. Those old enough to drink got plastic bracelets with five pull tabs — one for each beer, wine or hard cider they would be permitted over the next three hours. Hard liquor was banned; Jell-O shots were definitely out. Security guards walked the floor. The party limped along, and by 10 p.m., an hour ahead of schedule, the staff was already cleaning up. Fraternity misbehavior has frustrated colleges as long as fraternities have been around. But now, amid worries about endemic binge drinking, sexual assault and a startling spate of deaths, schools are going beyond the old practice of shutting down individual houses to imposing broad restrictions on all Greek life. Activities like fraternity parties and initiations have been suspended or curtailed at colleges including Ball State, Indiana University, Ohio State and the University of Michigan, as well as at least five where deaths have occurred this year: Florida State, Louisiana State, Penn State, Texas Stateand Iowa, where fraternities and sororities on good behavior have been permitted to hold one strictly monitored party per semester. 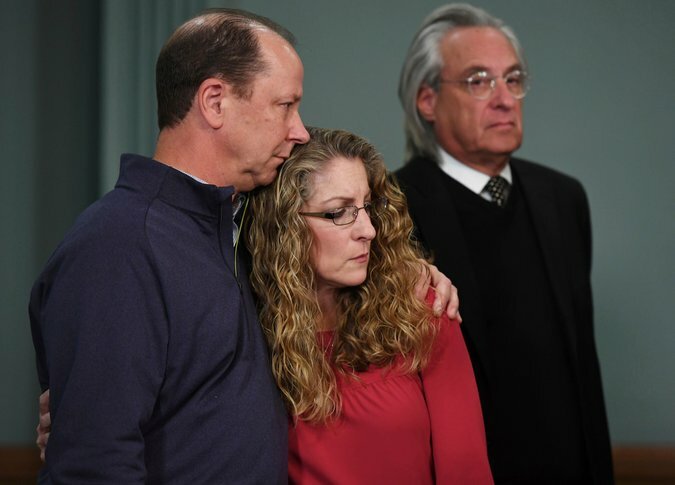 Jim and Evelyn Piazza during a news conference in November regarding the investigation into the death of their son Timothy Piazza, a fraternity pledge at Penn State University. The moves are an attempt to prove to college officials that fraternities are indeed adult enough to govern themselves. In a tragedy that horrified college administrators, students and parents, a 19-year-old Penn State sophomore, Timothy Piazza, died in February after a hazing ritual at Beta Theta Pi. He had a ruptured spleen and traumatic brain injury. Mr. Piazza had been given 18 drinks in less than 90 minutes, and tumbled down a flight of stairs, but fraternity members waited nearly 12 hours to call for help, prosecutors say. Several students have been charged with involuntary manslaughter and aggravated assault and others face lesser charges, including hazing. There is no guarantee, of course, that the new measures will ultimately change fraternity behavior or avert tragedies. One of the more dispiriting aspects, Mr. Nuwer said, was that two of the deaths, at Penn State and at Louisiana State, involved fraternities that had promised to take strong steps against hazing. “These are the kind that have a respectable exterior, and then behind closed doors are doing whatever they want,” he said. The grand jury on Friday said that Penn State had received a number of reports in recent years about dangerous behavior at fraternities including: paddling and punching pledges, making them drink bodily fluids and drink alcohol to the point of vomiting, and holding parties where women drank so much they were seen crawling on the floor before being taken into a fraternity brother’s room. In an aggressive response, Penn State said the grand jury and Ms. Miller had found an easy “scapegoat” for a widespread social problem by blaming the university. The university said many people were to blame, including parents who brought alcohol into fraternity houses. It also said it had made substantive reforms since Mr. Piazza’s death, including taking over the primary role of monitoring and disciplining fraternities from the council. And it said it would permanently revoke recognition of fraternities for violations, as it did with Mr. Piazza’s fraternity. Another school wrestling with the problem, the University of Iowa, ranked sixth in Princeton Review’s list of the top “party schools” for 2017. But the label lost its allure last spring when Kamil Jackowski, a freshman, was found unresponsive in his motel room while attending a fraternity formal in Missouri, and was later pronounced dead. Alcohol was a factor, according to the Camden County, Mo., medical examiner. The university immediately imposed a moratorium on alcohol at fraternity and sorority events. The moratorium remains in place, but as a reward for good behavior, 26 of the 36 fraternities and sororities at Iowa are being permitted to host one holiday party around the end of the year. Phi Kappa Psi and a sorority, Chi Omega, were the first to do so, and had to follow the new rules, which included guest lists crosschecked against photo identification; limits on the number, sizes and types of drinks; and sobriety monitors stationed at bathrooms, entrances and exits. Even so, there was only so much the university could control; several guests at the Phi Kappa Psi party, for instance, could be seen at the hotel’s rooftop bar drinking before their party officially began. Ten chapters at Iowa have not received permission to resume parties because they violated the moratorium by holding an event with alcohol or committed some violation of the code of student life, according to the university. On a recent Friday night, two young men casually carried liquor bottles into one of those chapters, Phi Delta Theta, where people had gathered to watch a football game, and two more strolled out later holding plastic cups of beer. Asked later about whether the fraternity had run afoul of the moratorium that night, Anthony Rose and Jake Shiltz, the incoming and outgoing presidents, said they had become aware of a violation by one person, who was being dealt with. “The chapter is in full support and cooperation of the university’s moratorium as well as Phi Delta Theta’s alcohol-free housing policy,” they said in a statement. 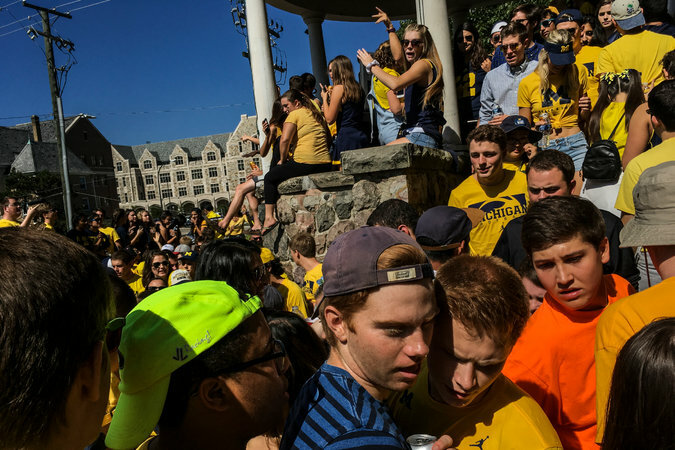 A fraternity tailgate party before a football game at the University of Michigan last year. There has been some backlash against the new rules among Iowa fraternity members, said Heath Schintler, a member of Delta Tau Delta who is the outgoing vice president of risk reduction and management on Iowa’s fraternity council. “For better or worse, the ability to purchase and consume alcohol is seen as a right instead of a privilege,” he said. Mr. Schintler, the son of a schoolteacher and retired sheriff’s deputy from the small city of Kalona, Iowa, said he initially had no interest in joining a fraternity because of their “Animal House” reputations. Then his older brother joined one and brought home literature extolling leadership, community and a sense of balance, mental and physical. He said he had found that through Delta Tau Delta, and “it’s been an absolutely marvelous experience. The nuclear option — prohibiting students from belonging to fraternities — is often discussed but seldom imposed. Few have followed the lead of elite liberal arts colleges like Williams and Bowdoin, where students can be expelled for participating in fraternities. Fraternities are a formidable force in college life, well financed, politically connected and a big source of alumni donations. The grand jury report cited alumni pressure as one reason Penn State had not acted more aggressively. Defenders say that fraternities promote a sense of community and belonging amid the stress of campus life, and they are a lure for many high school students choosing where to apply. Universities are also wary of being attacked for impeding freedom of speech and association. Instead, they are squeezing fraternities with regulations or trying to establish more direct control, as Penn State now is doing. “We may be seeing the slow attrition on the way to the end of Greek life, or we may see that by being forceful and aggressive, we will start to promote the behavior that is expected from a group of young men and young women who claim to be leaders in society,” Eric Barron, the president of Penn State, said. Mr. Schintler, the Iowa fraternity leader, said that ultimately, the challenge was not in turning fraternity brothers into teetotalers but changing the widespread view of drinking as a form of rebellion, a game of chicken. Continue reading the main storyConcerns have grown to the point that some Big Ten presidents are inviting counterparts from around the country to a conference in April to talk about how to better control Greek life on campus. The president leading the effort is from Penn State, where one of the uglier deaths occurred, leading to criminal charges for more than two dozen students. A grand jury investigation made public on Friday faulted the university for not acting sooner and for ignoring obvious signs of a fraternity culture that had spun out of control.“There is definitely this moment in time where society is not willing to accept behavior that in the past has been acceptable,” Tracy Maxwell, the founder of HazingPrevention.org, an anti-hazing organization.Notably, students themselves are beginning to take action.In some cases, like at Michigan, the restrictions are being imposed not by university officials, but by student-run fraternity councils that oversee Greek chapters. Recognizing that fraternities have a problem, the North-American Interfraternity Conference has proposed a voluntary pilot program that would bar alcohol in the common areas of fraternity houses, except during registered parties served by a licensed vendor.